During the heat of candidate Obama’s 2008 presidential campaign, I drafted the economic address to the nation that I hoped he might give early in his administration as part of a commitment to deliver on his promise of change. 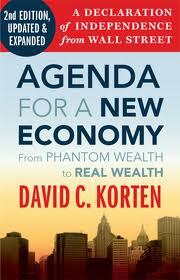 It provided an overview of the New Economy agenda in the format of a presidential address in candidate Obama’s style. Even if President Obama overcomes the disappointment of those who were hoping he would deliver on his promise of change and wins a second term, it now seems unlikely that we will hear from him anything resembling the following speech — unless a shift in the political context compels it. The speech, in this updated and expanded version, thus becomes a marker for the political dimension of the task now before civil society. We must create a political context that makes the U.S. president — and other heads of state the world over — feel compelled to give such an address as their declaration of national independence from Wall Street and its global counterparts — and to follow through on its commitments. My administration came to office with a mandate for bold action to deal with the evident failure of our most powerful economic institutions. They have crippled our economy; burdened our federal, state, and local governments with debilitating debts; divided us into the profligate and the desperate; corrupted our political institutions; and threatened the destruction of the natural environment on which our very lives depend. After the September 2008 financial crash, the U.S. government stepped in to save Wall Street’s biggest institutions with massive public bailouts. The banks took this taxpayer money and used it to pay executive bonuses, issue stockholder dividends, finance acquisitions, play speculative games, and fight even modest reforms. They did virtually nothing to get the economy going again by funding productive, job-creating enterprises or giving relief to desperate homeowners with underwater mortgages. It is time to face up to the fact that the Wall Street institutions now in place are creations of a failed economic ideology that says if government favors the financial interests of the rich to the disregard of all else, everyone will benefit and the nation will prosper. A thirty-year experiment with the trickle-down economic policies promoted by this ideology has demonstrated that it works well in the short term for fat-cat Wall Street bankers who manipulate the financial system to make money without the burden of contributing to the production of anything of real value. 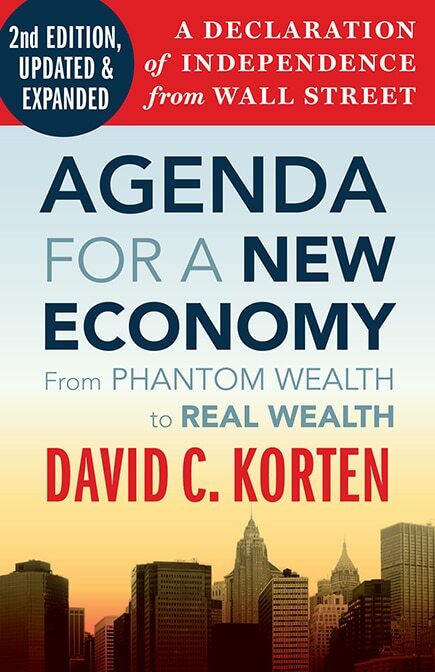 This creates unearned phantom-wealth claims over the real wealth produced by people on Main Street who are doing honest, productive work and making honest, productive investments. Wall Street calls the creation of phantom wealth financial innovation. I call it theft. It is legal only because Wall Street has the money to buy the votes of politicians to make it legal. : a disappearing American middle class and a crumbling physical infrastructure; failing schools; millions without health care; dependence on imported goods, food, and energy, and even essential military hardware. 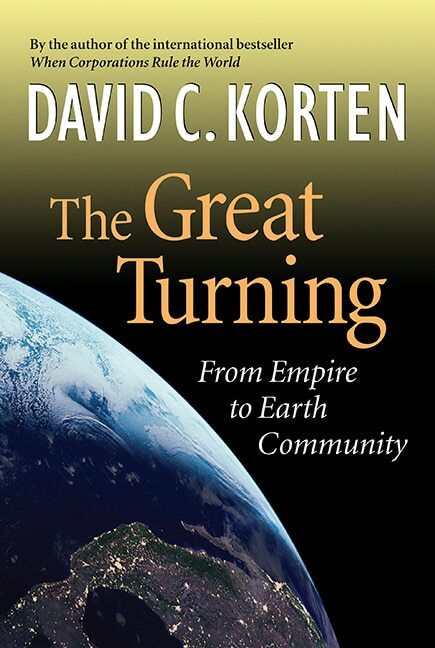 At the same time, it has increased our burden on Earth’s living systems and created an often-violent competition between the world’s peoples and nations for Earth’s remaining resources. Wall Street is so corrupt that its major players no longer trust one another. The result is a credit freeze that starves legitimate Main Street businesses of the money they need to pay their workers and suppliers. Pouring still more taxpayer money into corrupted institutions hasn’t, and won’t, fix the fundamental problem. This is not a broken system in need of a fix. It is a failed system that must be replaced with a new system based on the lessons of our experience. We have no more time or resources to devote to fixing a system based on false values and a discredited ideology devoted primarily to creating phantom wealth. Corrective action begins with a recognition that our economic crisis is, at its core, a moral crisis. Our economic institutions and rules, even the indicators by which we measure economic performance, consistently place financial values ahead of life values. They are brilliantly effective at making money for rich people. We have tried our experiment in unrestrained greed and individualism. Our children, families, communities, and the natural systems of Earth are paying an intolerable price. We must now come together to create the institutions of a new economy based on a values-based pragmatism that recognizes a simple truth: if the world is to work for any of us, it must work for all of us. We have been measuring economic performance against GDP, or gross domestic product, which essentially measures the rate at which money and resources are flowing through the economy on their way to our overflowing garbage dumps. Let us henceforth measure economic performance by the indicators of what we really want: the health and well-being of our children, families, communities, and the natural environment. I call on faith, education, and other civic organizations to launch a national conversation to identify the indicators of human and natural health against which we might properly assess our economic performance. It is time to take seriously what we now know about the essential importance of equity, caring communities, and the vitality, diversity, and resilience of nature to our overall physical and mental health and well-being. The GDP is actually a measure of the cost of producing a given level of human and natural health and well-being. Any business that sought to maximize its costs, which is in effect how we have managed our economy, would soon go bankrupt—and indeed our relentless commitment to growing GDP at all costs has brought our nation to the edge of financial, as well as moral, bankruptcy. We will henceforth strive to grow the things we really want, while seeking to reduce the cost in money and natural resources. No government on its own can resolve the problems facing our nation, but together we can and will resolve them. I call on every American to join with me in rebuilding our nation by acting to strengthen our families and our communities; to restore our natural environment; to secure the future of our children; and to reestablish our leadership position and reputation in the community of nations. Like a healthy ecosystem, a healthy twenty-first-century economy must have strong local roots and maximize the beneficial capture, storage, sharing, and use of local energy, water, and mineral resources. That is what we must seek to achieve, community by community, all across this nation, by unleashing the creative energies of our people and our local governments, businesses, and civic organizations. Previous administrations favored Wall Street, but —people who are working to rebuild our local communities, restore the middle class, and bring our natural environment back to health. Together we can actualize the founding ideals of our nation as we restore the health of our nation and its economy. • We will strive for local and national food independence by rebuilding our local food systems based on family farms and environmentally friendly farming methods that rebuild the soil, maximize yields per acre, minimize the use of toxic chemicals, and create opportunities for the many young people who are returning to the land. • We will strive for local and national energy independence by supporting local entrepreneurs who are creating and growing businesses to retrofit our buildings and develop and apply renewable-energy technologies. 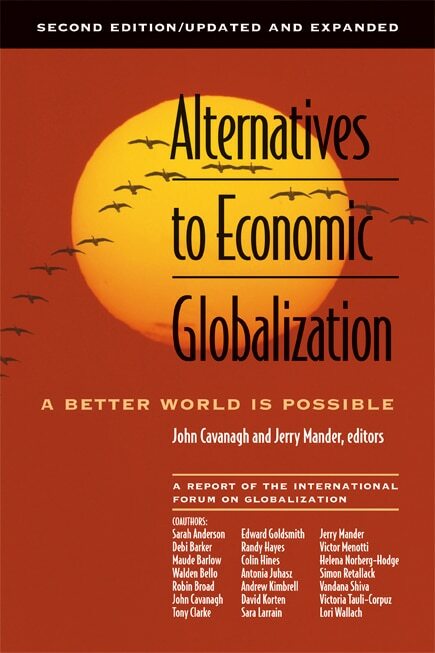 • It is a basic principle of market theory that trade relations between nations should be balanced. So-called free trade agreements based on the misguided ideology of market fundamentalism have hollowed out our national industrial capacity, mortgaged our future to foreign creditors, and created global financial instability. We will take steps to assure that our future trade relations are balanced and fair, return manufacturing jobs to America, rebuild our manufacturing capacity on an environmentally sound closed-loop manufacturing model, and learn to live within our own means. • We will rebuild our national infrastructure around a model of walkable, bicycle-friendly communities with efficient public transportation to conserve energy, nurture the relationships of community, and recover our agricultural and forest lands. • A strong middle-class society is an American ideal. Our past embodiment of that ideal made us the envy of the world. We will act to restore that ideal by rebalancing the distribution of wealth. Necessary and appropriate steps will be taken to assure access by every person to high-quality health care, education, and other essential services, and to restore progressive taxation, as well as progressive wage and benefit rules, to protect working people. These policies are familiar to older Americans because they are the policies that created the middle class, the policies with which many Americans grew up. They were abandoned by ideological extremists to the detriment of all. We will restore them, with appropriate adaptation to current circumstances. • We will seek to create a true ownership society in which all people have the opportunity to own their own homes and to have an ownership stake in the enterprises on which their livelihoods depend. Our economic policies will favor responsible ownership of local enterprises by people who have a stake in the health of their own communities and economies. The possibilities include locally owned family businesses, cooperatives, and the many other forms of community- and worker-owned enterprises. My administration will act at the national level to support your efforts to advance these objectives at the local level by engaging in a fundamental reordering of our national priorities. Because the world can no longer afford war, the foreign policy of this administration will be crafted to build cooperation among people and nations in order to eliminate terrorism and its underlying causes; resolve conflicts through peaceful diplomacy; roll back military spending and demilitarize the economies of all nations; restore environmental health; and increase economic stability. We will work to replace a global system of economic competition with a global system of economic cooperation based on the sharing of beneficial technology and the right of the people of each nation to own and control their own economic resources to meet their needs for food, energy, shelter, education, health care, and other basic needs. We will work to protect the rights and health of working people and the environment everywhere. 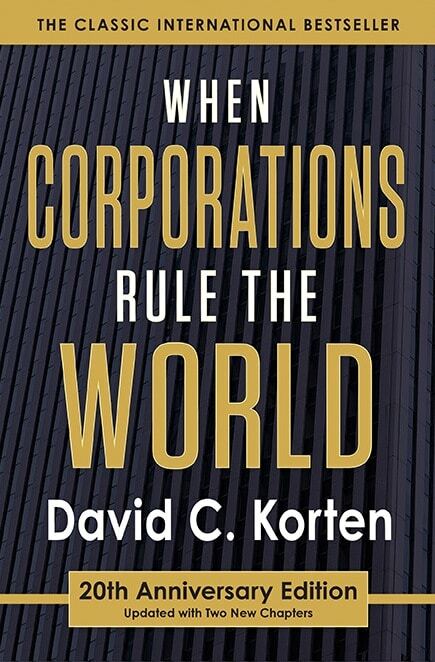 An unprecedented concentration of power in transnational corporations that owe no allegiance to any nation, place, or public purpose undermines democracy, distorts economic priorities, and contributes to a socially destructive concentration of wealth. Corporate charters give a group of private investors a special legal right to aggregate and concentrate economic power under unified management. under strict rules of public accountability. I am appointing a commission to recommend legislation that redefines the corporate charter so that each corporation’s public purpose is specified in its charter and periodically subject to public review. There will be no more no-strings government bailouts of failed banks or other corporations during my administration. 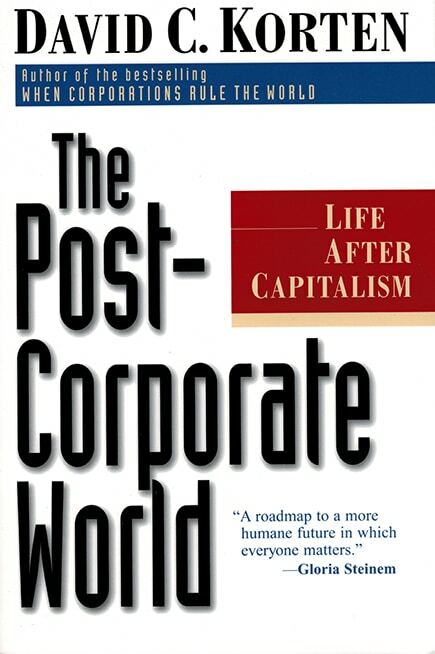 Any for-profit corporation that is too big to fail is too big to exist. We will institute vigorous antitrust enforcement to break up excessive concentrations of economic power and restore market discipline. When no individual company is so big that its failure can bring down the whole economy, there will be no need for bailouts. Because absentee ownership invites irresponsibility, we will create incentives for publicly traded corporations to break themselves up into their component units and to convert to responsible ownership by their workers, customers, or small investors in the communities in which they are located. Through a public legal process, we will withdraw the charter from, and force the dissolution of, any corporation that consistently fails to obey the law and fulfill a legitimate public purpose. There is no place in a life-serving twenty-first-century economy for financial speculation, predatory lending, or institutions that exist primarily to engage in these illegitimate practices. We will act to render Wall Street’s casino-like operations unprofitable. We will impose a speculation tax, require responsible capital ratios, and impose a surcharge on short-term capital gains. We will make it illegal for people and corporations to sell or insure assets that they do not own or in which they do not have a direct material interest. We will prohibit financial institutions from trading for their own accounts in securities they sell to the public. The brainpower and computing capacity now devoted to trading electronic documents in speculative financial markets will be put to work solving real social and environmental problems and financing life-serving Main Street enterprises that create living-wage green jobs. To meet the financial needs of the new twenty-first-century Main Street economy, we will reverse the process of mergers and acquisitions that created the current concentration of banking power. We will restore the previous system of federally regulated locally owned and managed community banks that fulfill the classic textbook banking function of serving as financial intermediaries between local people looking to secure a modest interest return on their savings and local people who need a loan to buy a home or finance a business. Many of the individual banks will be organized as nonprofit cooperatives. Some may be owned by state and local governments. The new system will operate as a well-regulated public utility to assure that money flows to where it is needed to address the self-defined needs of people and communities. And last, but not least, we will implement an orderly process of monetary reform. Most people believe that our government creates money. That is a fiction. Private banks create virtually all the money in circulation when they issue a loan at interest. The money is created by making a simple accounting entry with a few computer keystrokes. That is all money really is, an accounting entry. Many years ago, our government gave private banks the exclusive power to create money through the issuance of debt. This means that someone has borrowed and is paying interest to a private bank for virtually every dollar in circulation. The more our economy expands, the greater the debt owed to the bankers who create with mere accounting entries the money essential to economic exchange. This makes banking a very profitable business, but it creates inherent economic instability as credit expands and contracts. Furthermore, because banks create only the principal loaned, but not the interest, the debt-money system creates an imperative for perpetual economic expansion to generate new loans so that sufficient money will be available to allow borrowers to pay the interest—unless interest payments flow right back into the community. , creating inherent instability and assuring that as a nation we will continue to be mired in ever-growing debt. Locally owned community banks, particularly those organized as nonprofits, will charge modest interest rates and assure that interest payments immediately recycle back into the community. U.S. household mortgage and credit card debt stood at $13.8 trillion in 2007, roughly the equivalent of the total 2007 GDP, and much of it was subject to usurious interest rates. The federal debt inherited from the previous administration stood at $5.1 trillion in 2007, even before the Wall Street bailout, and it cost taxpayers $406 billion a year in interest alone, the third-largest item in the federal budget after defense and income transfers like Social Security. That debt has since more than doubled, with a commensurate increase in our federal interest burden. This debt hamstrings our government and places an intolerable burden on American families that undermines physical and mental health and family stability. It also creates a massive ongoing transfer of wealth from the substantial majority of households that are net borrowers to the tiny minority of households that are net lenders. This engenders a form of class warfare that has become a serious threat to the security of America’s working families. One answer is to assure that jobs pay a family wage sufficient to allow families to live comfortably. There is another serious consequence of giving control of our money supply to Wall Street. When Wall Street banks stop making the accounting entries needed to fund Main Street, the real-wealth economy collapses, even though we have willing, skilled workers and must still meet the needs of our families, maintain the nation’s physical infrastructure, and protect our natural resources. The economy stops solely because banks are not making the necessary accounting entries to allow real businesses to function. We cannot allow the moral corruption of Wall Street to bring down our entire economy, indeed our entire nation. Money-supply management is currently the responsibility of the Federal Reserve. Even though we call it the “Federal” Reserve, it operates independently from accountability to any public body and is largely captive to the interests of Wall Street’s biggest banks. It secretly buys up toxic securities from Wall Street financial institutions on unknown terms and with no public accountability, and it issues credit to the same institutions to buy U.S. Treasuries at interest rates that guarantee them an effortless profit. All the while it adamantly rejects congressional calls for a public audit. I have instructed the treasury secretary to take immediate action to assume control of the Federal Reserve and restructure it to function as a publicly transparent federal agency accountable to the president and the Congress. The new federalized Federal Reserve will have a mandate to stabilize the money supply, contain housing and stock market bubbles, discourage speculation, and assure the availability of credit on fair and affordable terms to eligible Main Street borrowers. In conjunction with the newly federalized Federal Reserve, the secretary of the treasury will begin an orderly process of converting to a banking system composed of independent locally owned community banks and raising reserve requirements to assure that all banks maintain sufficient capital to cover foreseeable obligations. The treasury secretary will also initiate an orderly, long-term process of monetizing the federal debt to reduce the interest that taxpayers pay for money that private banks created with an accounting entry that can be just as well created directly by the U.S. Treasury. 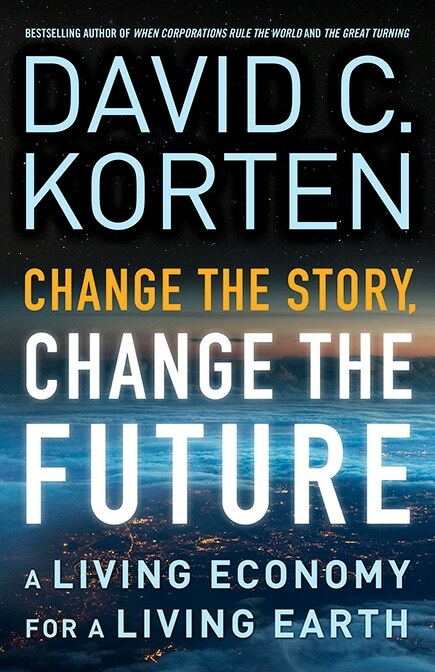 In the future, we will look to the Fed to issue interest-free credit to the U.S. government as approved by the Fed and the U.S. Congress and as needed for investment in productive human, physical, and natural capital to build the physical and social infrastructure of a twenty-first-century economy consistent with full employment and price stability. We will recommit ourselves to the founding ideals of this great nation, focus on our possibilities, and liberate ourselves from the failed ideas and institutions of Wall Street. Together we can create a stronger, better nation that secures a fulfilling life for every person and honors the premise of the Declaration of Independence that every individual is endowed with an unalienable right to life, liberty, and the pursuit of happiness.